Home » Reflexology » Did you know REFLEXOLOGY could do this?? HEADACHES when they start. There are many types of headaches. Depending on the symptoms, we use REFLEXOLOGY points for a natural release of anti-inflammatory into the system as well as all the pain points . 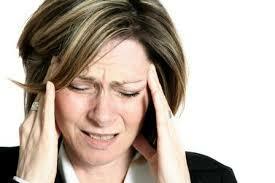 Stop MIGRAINES while they are happening. When the reflexology pain, neck, shoulder, jaw and head points are stimulated with pressure they drastically help reverse a MIGRAINE! DIGESTIVE DISORDERS – these include Crohns Disease, Ulcerative Collitis, irritable bowel syndrome, any intolerances, diarrhea or constipation – There are many points along the small and large intestine that we work for DIGESTIVE DISORDERS. The aims here are to promote absorption, open blockages, heal the lining of the colon and to boost the immune system. We include the whole digestive system and work for pain as well. 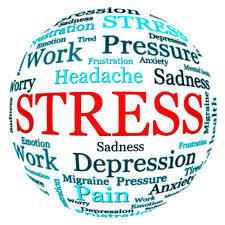 STRESS – today so many of us are multi-tasking and cramming our days full. We use our smartphones and electronics to make us superhuman without taking time out to replenish. When the body is pushed to its limits our immunity drops. Why is it that people more stressed out seem to pick up airborne viruses? REFLEXOLOGY boosts immunity and manages stress response in the body. BACK and NECK ACHE – REFLEXOLOGY gives us many options when dealing with pain here. We have reflex points on the hands and feet to relieve pain as well as loosen tight, sore and stiff muscles. REFLEXOLOGY naturally stimulates the release of anti-inflammatory and brings down pain and inflammation. ECZEMA – Red itchy burning skin is managed and relieved through REFLEXOLOGY. Hormonal eczema during pregnancy is also alleviated. Very effective! INFERTILITY – Reflexology is an amazing tool to help bring the reproductive system into balance and function at its optimal. It helps with ovulation problems, polycystic ovarian syndrome, endometriosis and amenorrhea (absence of menstruation). CANCER – Reflexology supports the cancer patient through their treatments. It helps boost the immune system, and increase blood counts to be at high enough level to receive treatments. It alleviates side effects like nausea and vomiting, dry mouth and throat sores, fatigue, pain and diarrhea. It also helps manage the life stress or overwhelm that the patient could be feeling. ADD and ADHD – REFLEXOLOGY helps with the side effects of medications such as Ritalin and Concerta. Sleep problems – it helps the body to unwind and calm down naturally, It helps boost appetite, and support growth in children. It also helps to manage the rebound (irritabilitywhen the medication wears off). I wanted to express my gratitude to you. I suffer from Crohns disease and was in agonizing pain when I came to you with a blockage in my intestine. I have had these blockages before and was hospitalized. I had an operation a few years ago for a blockage and I have been in hospital a few times for the same reason. You gave me reflexology and after the first session I felt relief. After the second treatment I felt much better and eventually the blockage went without me having to go to hospital again. It is a wonderful feeling for me to have found a solution to my health problem and know that if g-d forbid it happens again I can come to you for reflexology instead of going to the hospital. Thank you so much. I am 21 years old and have been suffering from chronic migraines since I was 13 years old. I have been on countless medications and diets. The one thing that has truly helped my migraines – be it the pain, nausea, aura etc… is Reflexology. Within an hour of therapy, I am migraine free! My daughter had a problem with bed-wetting. We went to Devorah for reflexology for a few months, and it really helped with the problem. We had tried other things before, and the other alternative was going to be long-term medication, which we were really not keen on getting started on. Thanks to the reflexology (and reflexologist) she can now even sleep over at her friends’ houses! I have a history of low birth weight babies and generally difficult pregnancies, so I began consulting Devorah for weekly reflexology sessions (and continued to do so until 5 months post birth.) I believe that the reflexology assisted me in giving birth to my first baby over 2,5kg. I also attribute my success with breastfeeding this time round to Devorah’s treatments. Before Reflexology I used to battle to fall asleep because of my ADHD pills, I was worried and anxious about so many different things, and all thoughts used to enter my head which made me even more anxious. I was then sent to Reflexology and taught many methods and ways of how to be relaxed, calm and NOT WORRY! I don’t go mad when I come off my medicine and I am able to eat a little more in the day as well. I started seeing Devorah in April 2010. My first baby had died the previous October and I was still trying to come to terms with what had happened and was desperate to try for another baby. My periods were very irregular, sometimes having a70+day cycle. Devorah helped me first to learn to see things positively again in my life and to try and accept what had happened and within 3 or 4 months my periods were more regular with approximately a 30 day cycle. She encouraged me to look after myself and to get my mind and body ready to become pregnant. By the September I fell pregnant and was overjoyed. Devorah has a vast knowledge on menopause, and my weekly sessions with her have enhanced my health and well-being, and have helped me to cope with my menopause very effectively. My reflexology treatments from Devorah Kur while having chemotherapy for colon cancer really helped me to keep well and active through the process. Besides the physical benefits, I found that time spent in Devorah’s calm and tranquil presence was balm for my soul. I underwent a total hip replacement, and came home with a very swollen leg. A couple of days after reflexology, the swelling went down entirely. Devorah is highly skilled in providing emotional support and healing. 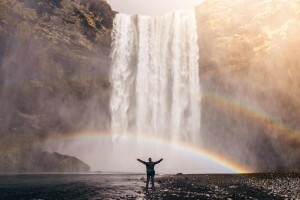 She has an amazing depth of insight, assisting her clients with sage advice, as well as other techniques, such as visualization and meditation. She listens with an openness of heart and mind. I feel that I would not have healed so quickly from my surgery (without her help) both mentally and emotionally. I started Reflexology in my third month of pregnancy. I had developed eczema on my hands and it was spreading up my arms. My skin was so sensitive that I couldn’t wash dishes or my daughter in the bath, or use any chemicals at all (shampoo, conditioner, cleaning products, acetone…etc.) Within weeks I noticed the redness retreating down my arms and then eventually fading from my hands. What a life saver! Refeloxology also kept me energized in my pregnancy and kept my feet normal, not like in my previous pregnancy where my feet swelled like tree trunks.